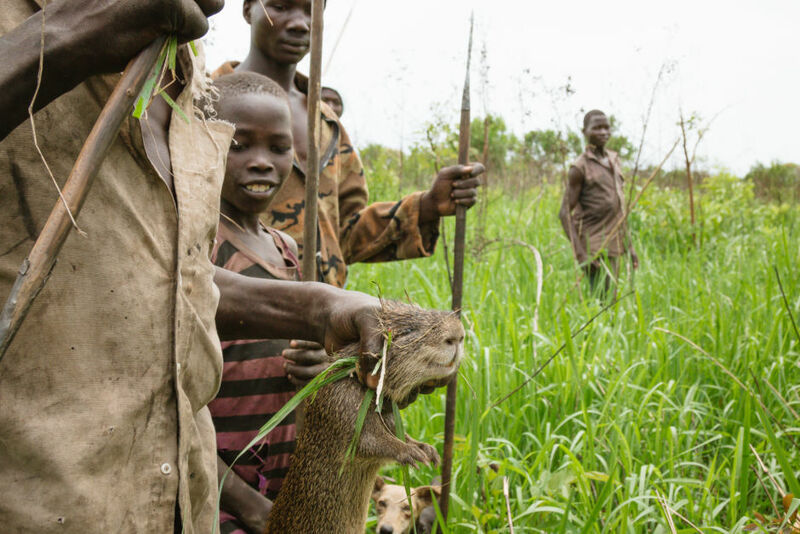 I heard about edible rat hunting shortly after I arrived to Gulu, the largest city in northern Uganda. Equal parts pest control and hunting for food, the practice has long been a practice of farmers in the North. 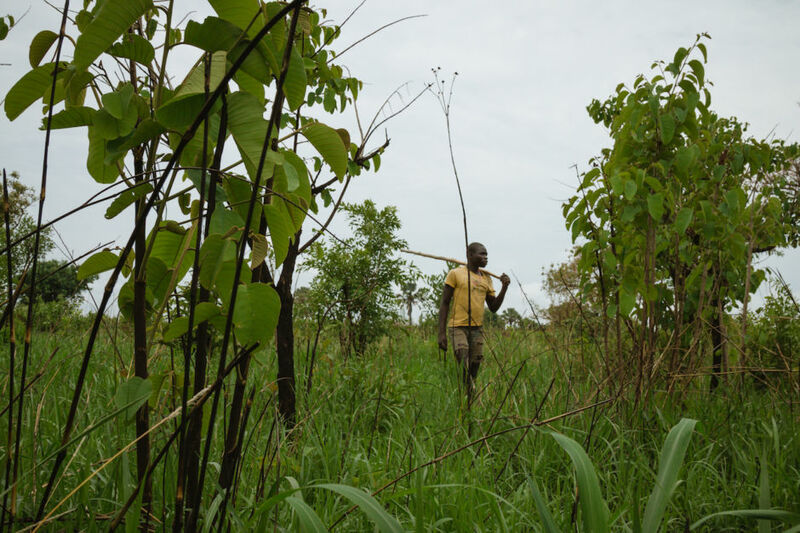 In the lead up to the first planting season, usually between January and May, men aged 14 to 50 take a break from tilling to fan out over their fields each afternoon with spears, dogs, and a bit of gusto looking for the groundhog-like creatures, known locally as anyeri. A daily catch of three to five rats can serve as a free source of food to families, or fetch a few extra shillings during the lean times. 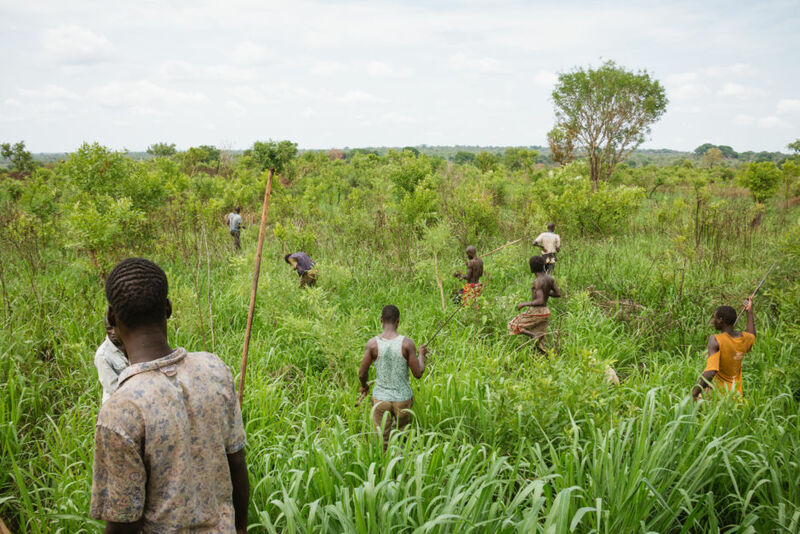 After spending each morning clearing and prepping their fields, farmers from nearby villages head out in search of edible rats. Men arm themselves with spears, sticks, and knives. Hunting parties range from a few men to two dozen, like our group. A young farmer scans the perimeter for signs of rats. At the start of the dry season, fields are burned and cleared, but new layers of spear grass offer a bit of cover for the rodents. 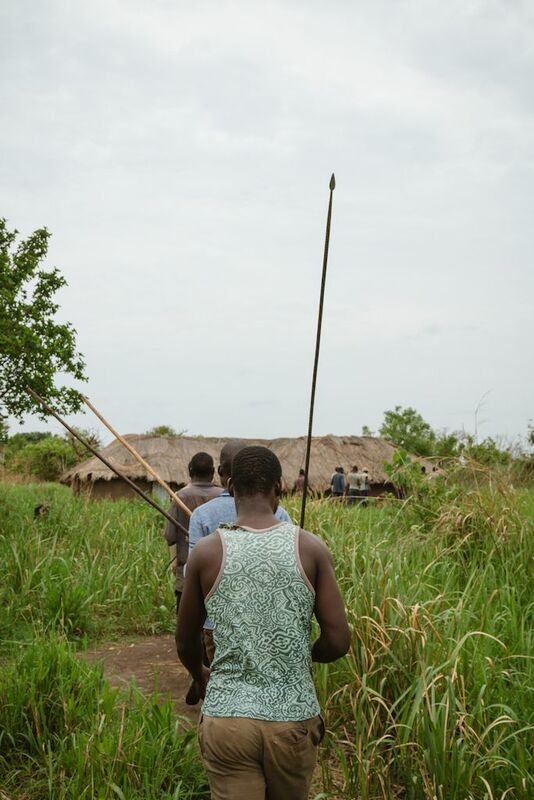 Land in Northern Uganda is traditionally communally owned, meaning hunting parties are free to move across their clan’s land without interference from other families. Dogs are on the hunt. Rats often escape into burrows and tunnels, away from the grabbing hands of the hunters. 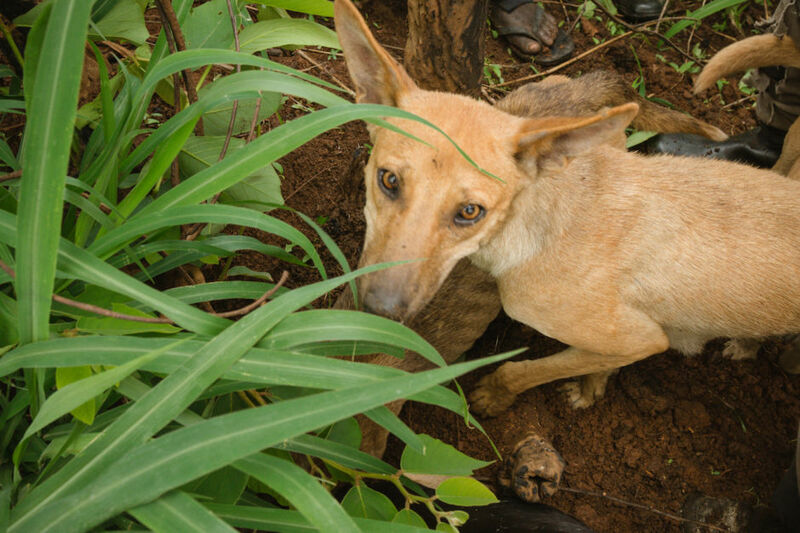 Dogs are trained to sniff out the hiding anyeri, and cash in on the catch if lucky. A faint whistle in the air signals to the group that a rat has been discovered, sending the men and dogs in a dash towards the prey. After knocking the rat unconscious, a hunter uses his spear to kill the catch with a quick jab. A young boy shows off his prize to other members of the group. Three of the hunters take a break from the chase. The younger members of the party told me about their enthusiasm for keeping the hunting tradition alive in northern Uganda. Beyond the pest control, it offers them a chance to participate in the culture of their elders and bond in a communal activity where few other social outlets exists. 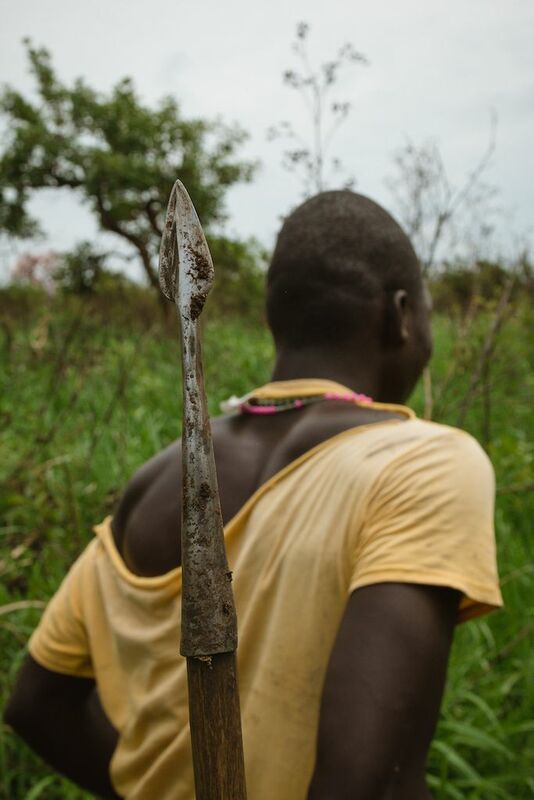 A young farmer carries his spear. Another rat has been discovered in the distance, and the men raced to be the first to round up and kill the next animal. But, before the party could arrive, dogs quickly mauled the rat to death. 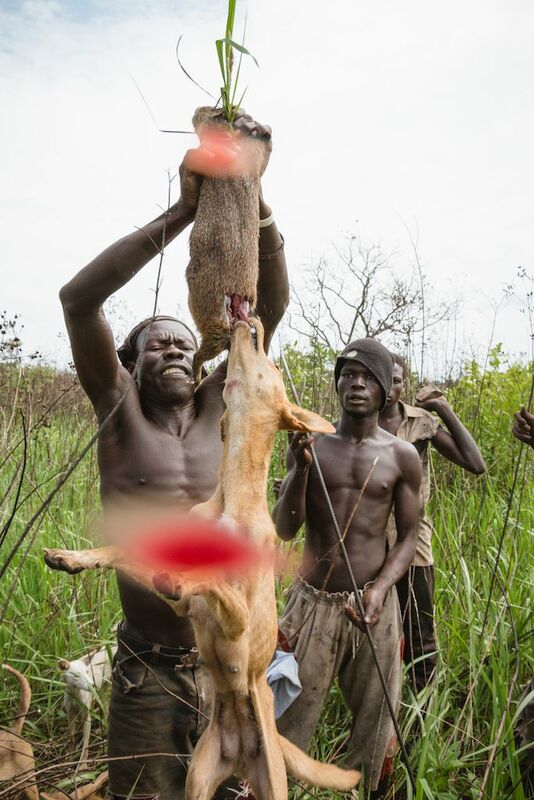 The hunters were able to salvage the kill before the dogs completely ruined the meat, but not without a tug-of-war with one canine. 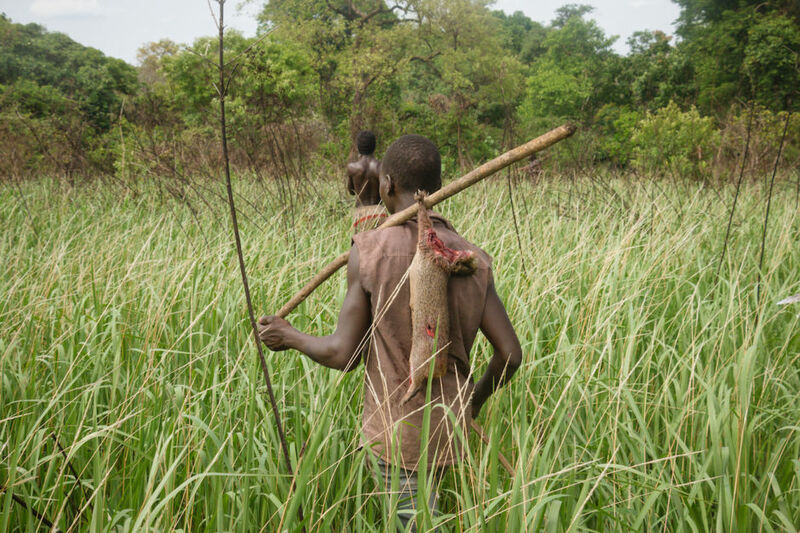 A hunter carries his catch back to his village. Though mangled from the dogs, this rat could fetch around 15,000 Ugandan Shillings (roughly four US dollars) back at the village’s trading center. 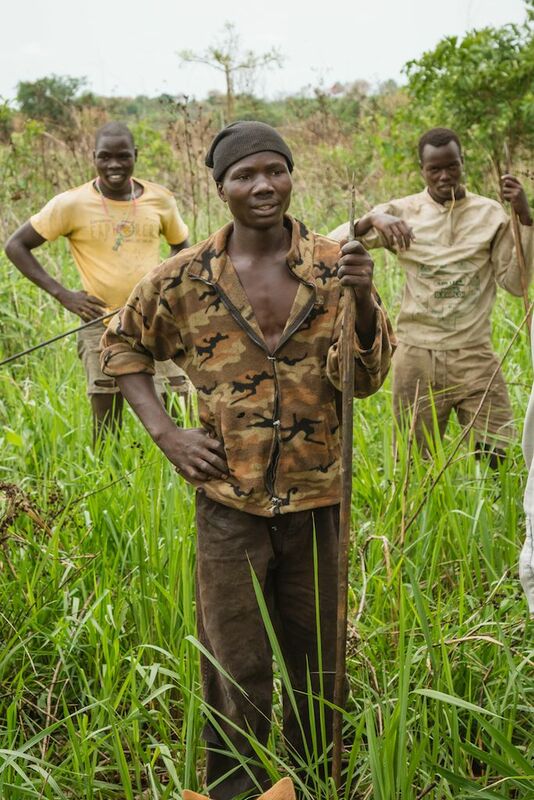 The income brought in from anyeri hunts allow these farmers to have additional cash during the lean months. 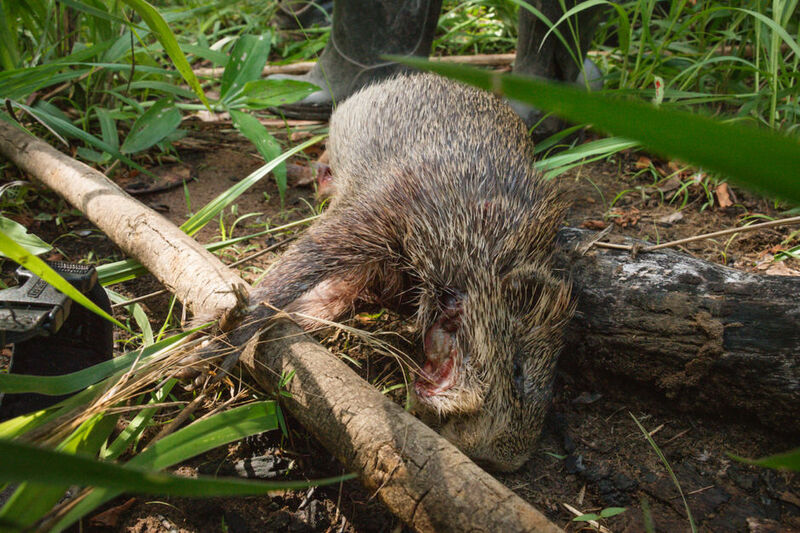 The anyeri are a species of cane rat widely distributed across much of sub-Saharan Africa. 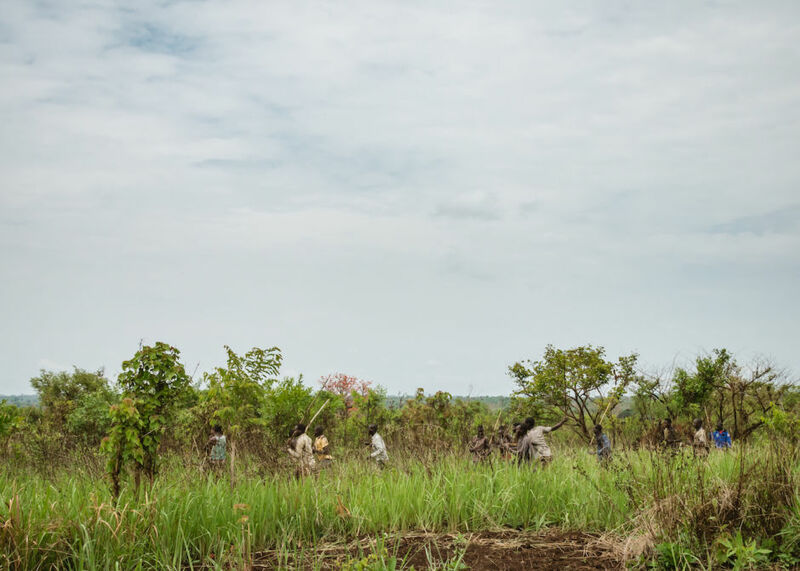 As their habitat overlaps with farmland in Northern Uganda, they remain destructive to common crops such as maize and cassava. 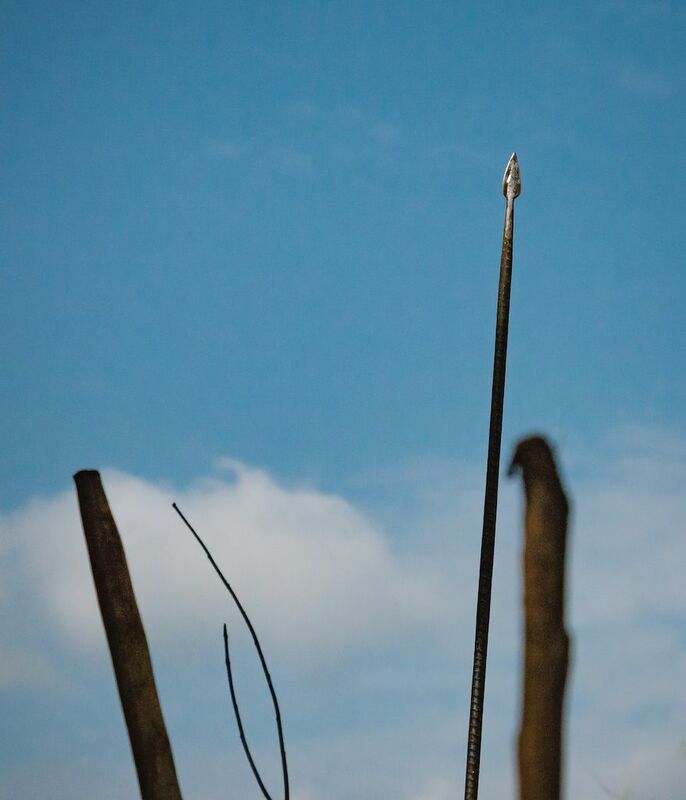 Five hours after departing, spears and sticks remain high as the farmers had a successful hunt. And after a night’s rest, they’ll be back at it again.